The sixty-second countdown animation to the start of the opening and closing Olympic ceremonies. 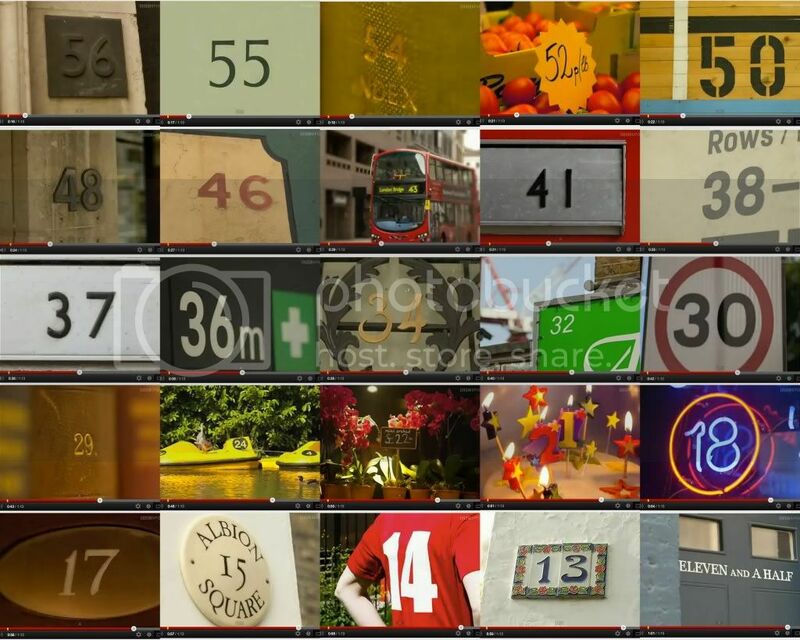 Photographs and video clips of numbers seen around London, edited into a countdown, a really effective animation that captured my attention, before the ceremony had even started. I love photography and I'm fascinated by details, like door numbers, that are generally overlooked. If you didn't see it, you can watch the clip here.